Linda Bartley joined the artist faculty of the School of Music at The University of Wisconsin-Madison in the fall of 1992.Dr. Bartley has been featured as a recitalist and clinician throughout the United States, Canada, Europe, Costa Rica, and Japan. She has served on the highly regarded adjudicating faculty of the Buffet International Clarinet Competition and the Young Artist Competition of the International Clarinet Association. National symposium performances include The International Clarinet Association Conference held in Stockholm, Salt Lake City, Utah and Columbus, Ohio, The International Double Reed Society Conference, The Oklahoma Clarinet Symposium, The Montana/Idaho Clarinet Symposium, the Montevallo Symposium, and the Great Plains Clarinet Symposium. An advocate for new music, Dr. Bartley has premiered works written for her by Tina Davidson, William Wallace, James Niblock, Scott Gendel, and edited works by Paul Schoenfield.Among her performance credits are appearances with The Grand Teton Music Festival, Jackson, WY, The Aspen Music Festival, The Tanglewood Music Festival, The Moyse Woodwind Seminars and The Brevard Music Festival. Her performances have been heard on the PBS, NPR and CBC radio broadcasts. Linda Bartley has appeared as concerto soloist multiple times with the Madison Symphony, The Wisconsin Chamber Orchestra and The London Symphony of Canada as well as the University of Wisconsin Symphony and Chamber Orchestra. Reviews and articles authored by Dr. Bartley have been published in The Clarinet Journal, the official journal of The International Clarinet Association, and the National Association of Wind and Percussion Instructors Journal. 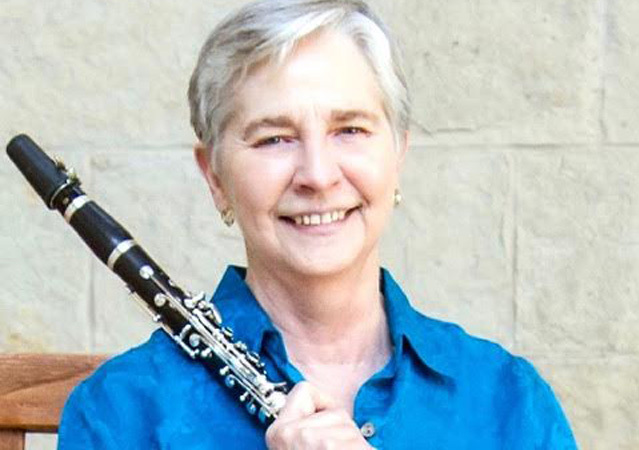 Linda Bartley is the clarinetist in the Wingra Woodwind Quintet, ensemble in residence at the University of Wisconsin-Madison, and Principal Clarinetist of the Madison Symphony. She earned her degrees from Michigan State University and has studied with clarinetists Elsa Ludewig Verdehr, Robert Marcellus, Harold Wright, Stanley Hasty, Peter Hadcock, Keith Stein and chamber music coach, Marcel Moyse. Dr. Bartley is on the International Artist Roster of Buffet Clarinets.